iPad devices have revolutionized the way we do our daily task, the way we learn and travel. iPad development conducted in a similar manner to iPhone application development, with minor differences like the size of the screen, portability, etc. These are highly critical factors when you want to make your app to target both iPhone and iPad users. For that, you just need to hire iPad developers from the reputed firm like us. Our highly qualified and experienced iPad app developers team using their knowledge and expertise to help you get the product according to your imagination. With 6+ years of experience in iPad app development industry, we have developed quality iPad apps which are robust and easy-to-use. Rapidrms.com is the biggest product which developed by Siya Infotech Solutions. It is POS Retail management system. Your Hire iPad app developers only working for your assignment. Dedicated app development team helps you to reach your business objectives with the best quality and under strict delivery time. Accurate quality standards, strict code conventions, and thorough quality guarantee to test. 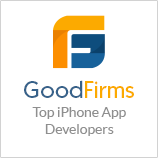 Hire iPad developers who have an expertise of Objective-C & Cocoa touch. Ability to customize third party apps by utilizing the different iPad application development tools. Hire our iPad developers can help you to develop iPad apps to transform your dream into a reality. So, if you want to develop a custom iPad app for your organization, then please communicate with us so that our expert iPad application developers can bringing your app ideas to life by following the systematic iPad app development process.